October 24, 2015 5:52 pm Published by admin Major Partitions was proud of the work done for Caddell Construction at the US 108th ADA facility at Fort Bragg. 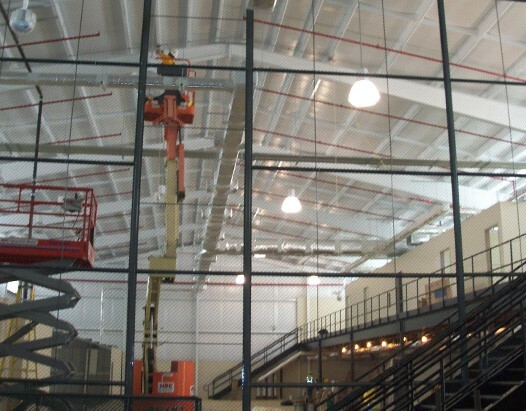 Producing and installing wire mesh partitions, at a height of close to 40-0 feet to multiple areas. Due to high security, an 8g welded wire in 2''x 2'' opening was used.